When looking at outdoor furniture or fabrics in particular, we have all come across the terms water resistant and/or water proof. So, what is the difference you might ask? 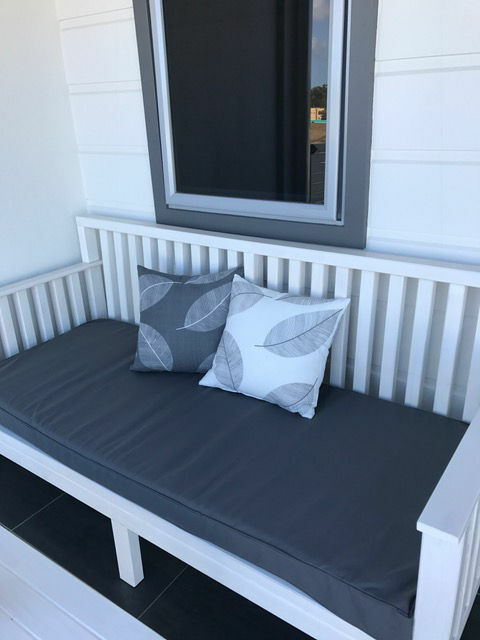 Customers are often confused or misled when it comes to these terms, so let’s try and make them clearer especially with respect to outdoor fabric. Water Resistant: does not allow water to pass through it easily, or is not easily damaged by water. Water Proof: does not let water pass through it. How it has been made. If there is anyway water can get in, then it is not considered not water proof, however it can still be considered water resistant. The most common outdoor fabrics are nylon, polyester & cotton, and these fabrics are measured in Denier. Denier is based on a natural standard: a single strand is approximately one Denier. So 400D fabric equals roughly 400 pieces of thread. These fibers are then woven together to create the fabric. 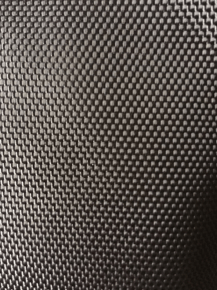 That is why when you look closely at a 400D (Standard) fabric the individual lines(fibers) will be smaller than the individual line on a 1680D fabric (Commercial Fabric). Even though these fabrics are woven together very tightly, water is still very small. This means water can get between the fibres where they pass each other. Normally rainfall does not pass through as raindrops don’t weigh much, but if in a heavy down pour water will eventually find a way through. To help these fabrics with their quality of water resistance, some have a protective backing added, using either polyvinyl chloride (PVC), polyurethane (PU) or thermoplastic elastomers (TPE) to help stop water getting through. Many traditional synthetic fabrics will have PVC on the backside of the fabric, to help prevent water from sneaking between the fibres. If you are not wanting a backing, there are fabrics that have an added Teflon coating. This is applied to the surface to help water bead up and roll off, as can be seen on our Resortella Fabric. The advantage of this method of water resistance is that the fabric retains its soft feel as it does not have an added layer of PVC/PU. However, the coating can wear off over time, so we recommend applying a “waterproofing” spray occasionally – this can be found in most major hardware stores. If you can afford to spend a little more, there are a couple of fabrics that will stand the test of time. Both Olefin and Acrylic are 100% solution dyed fabrics, which can stand up to the harsh sun for many years to come. (Sunbrella is actually a brand of Acrylic). Like Acrylic, Olefin is quick drying, can with stand the weather, stains and mildew, but is not as water resistant as acrylic. 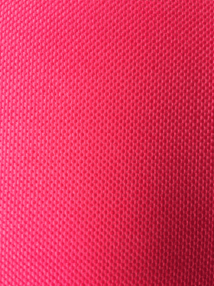 However, it is harder wearing, and cheaper than Acrylic, so it is an excellent choice for outdoor fabric. To have something made waterproof requires attention to the construction as well as the fabric. You can have all the waterproof fabric in the world, but your cushion covers won’t be waterproof if you have standard zippers or stitching. It all comes down to construction, and how much you are prepared to pay for your product. Most outdoor cushions manufacturers do not go to the extra effort of making them using techniques that will make them waterproof. The reason is that it is costly to do so, and the added benefits over water resistance are minimal. In all honesty having a waterproof cushion cover isn’t really different to a water resistant one. Water resistant products just require a little more time and attention. By taking care of your cushions, removing them when not in use, storing them over the rainy months and keeping them clean and dry you can enjoy them for years to come. 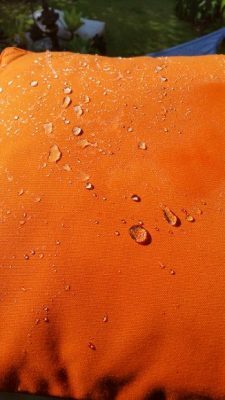 So hopefully after reading this article you have an idea with regards to outdoor cushions / bean bags being water resistant and waterproof, it all comes down to the way it has been made. However, having good fabrics, that your budget can afford will also go a long way. Here at Resort Style Bean Bags we have many types of fabrics at affordable prices, speak to us today for a free quote. This entry was posted in Bean Bags, Custom Cushion Covers and tagged custom cushions, fabric, resistant, waterproof.